Home Research Nano-ingredients, what can we expect in the coming years? Nano-ingredients, what can we expect in the coming years? Nanotechnologies are potentially extremely interesting for the food industry. Nanoparticles are very small, their size varying between 1 nanometer (nm) and 100 (nm). Food commonly contains nanoparticles, which can be either endogenous (as for example proteins such as ferritin) or exogenous, or voluntary (such as TiO2) or accidental as primary or secondary contaminants resulting from food processing. According to the publication “Nanoparticles in food and effects on human health” – Mario Negri Institute for Pharmacological Research -, “with food man can ingest nanoparticles that originate from the mucociliary clearance of inhaled nanoparticles. In the gastro-intestinal lumen, in addition to the nanoparticles ingested, even endogenous nanoparticles can be found in the form of nanocrystals originated from the precipitation partially soluble intra-luminal salts”. The human gastro-intestinal system is constantly exposed to numerous nanoparticles of various origin, shape, size and composition, so much so that a daily ingestion of more than a thousand nanoparticles per person can be estimated. An amount intended to increase also due to the increasing use of artificial nanoparticles, not only in food but also in products such as toothpaste, cosmetics, paints etc. At present in Europe there are no specific rules on the application of nanotechnology in food and feed. Nanoparticles in food are considered new materials and hence subject to the regulation on novel foods, according the (EU) Reg. 2015/2283 on novel foods. 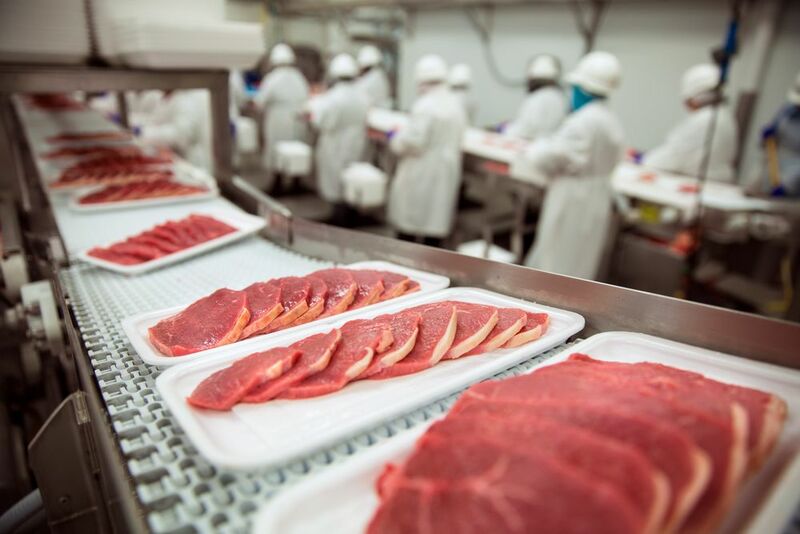 The regulation in fact states that “in order to assure a high level of protection of human health and of consumers’ interests, food consisting of engineered nanomaterials should be regarded as novel food under this regulation”. The regulation also sets out the definition of “engineered nanomaterials”, currently defined in Regulation (EU) No 1169/2011: “Any intentionally produced material that has one or more dimensions of the order of 100 nm or less or that is composed of discrete functional parts, either internally or at the surface, many of which have one or more dimensions of the order of 100 nm or less, including structures, agglomerates or aggregates, which may have a size above the order of 100 nm but retain properties that are characteristic of the nanoscale. Properties that are characteristic of the nanoscale include: the properties related to the large specific surface area of the materials considered; and/or specific physico-chemical properties that are different from those of the non-nanoform of the same material”. New EFSA guidelines. The European Food Safety Authority (EFSA) has published its new guidance for nanotechnology applications in the food chain, in order to assess the safety for human and animal health of food, food/feed additives and pesticides. The document “Guidance on the human and animal risk assessment of the application of nanoscience and nanotechnologies in the food and feed chain”, published on the EFSA Journal, is intended for industries, risk assessors and managers, and takes account of the new developments of these technologies that have taken place. In the guidelines it is stated that, irrespective of the presence of a nanomaterial, the existing requirements for safety assessment according to guidance for conventional non-nanomaterials under relevant regulations must be followed, in accordance with the guide for the non-conventional nanomaterials following the relevant legislation; reducing the size of particulate materials to the nanoscale can impart certain changes in properties and biokinetics behaviour, which may also lead to altered toxicological effects compared with corresponding non-nanomaterial. Therefore, the safety of a nanomaterial should not be automatically assumed to be similar/comparable to its corresponding non-nanomaterial or another nanomaterial. That is one of the reasons why the guidelines outline the criteria to be used for describing the new nanomaterials, their physicochemical properties and practical suggestions on the tests and methods that can be used for their characterisation. The new EFSA guidelines update the previous guidance published in 2011. An update necessary considering the ongoing developments in the field of nanotechnologies. The guidance specifically elaborates on physicochemical characterisation of nanomaterials in terms of how to establish whether a material is a nanomaterial, the key parameters that should be measured, the methods and techniques that can be used for characterisation of nanomaterials and their determination in complex matrices. It also details the aspects relating to exposure assessment and hazard identification and characterisation. In particular, nanospecific considerations relating to in vivo/in vitro toxicological studies are discussed and a tiered framework for toxicological testing is outlined. It describes in vitro degradation, toxicokinetics, genotoxicity as well as general issues relating to testing of nanomaterials. Depending on the initial tier results, studies may be needed to investigate reproductive and developmental toxicity, immunotoxicity, allergenicity, neurotoxicity, effects on gut microbiome and endocrine activity. The possible use of read-across to fill data gaps as well as the potential use of integrated testing strategies and the knowledge of modes/mechanisms of action are also discussed. The Guidance proposes approaches to risk characterisation and uncertainty analysis, and provides recommendations for further research in this area. The guidance will enter a pilot phase, with finalisation envisaged by the end 2019. In 2019 a second guidance will be developed focusing on environmental risk assessment of nanoscience applications in the food and feed chain. The Guidance is applicable, for example, to a material that meets the criteria for an engineered nanomaterial as outlined in the Novel Food Regulation (EU) No. 2015/2283. Under this regulation, a food consisting of engineered nanomaterials will be considered a novel food and as such will require authorisation. 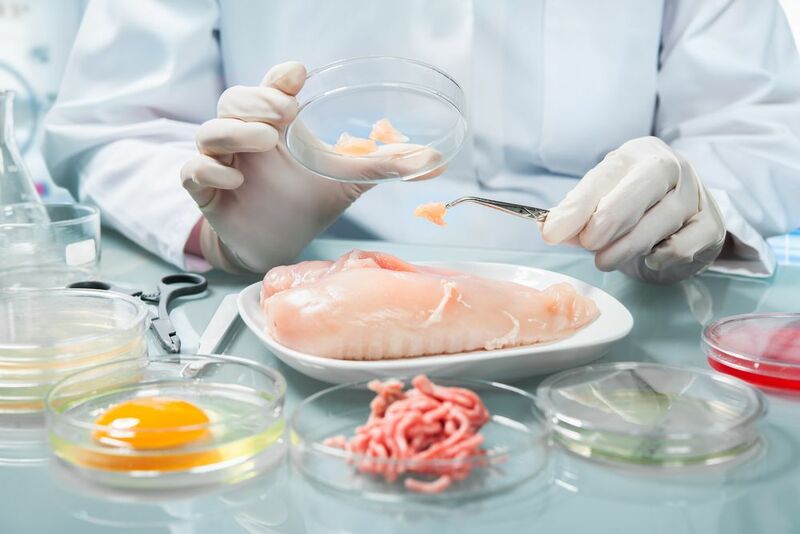 The Regulation stipulates that risk assessment of novel foods shall be carried out by EFSA, which shall also be responsible for verifying that the most up-to-date test methods have been used to assess their safety. Another application may concern a material that is not engineered as nanomaterial but contains a fraction of particles in the size range 1–100 nm. Another case concerns a nanoscale entity made of natural materials that has been deliberately produced to have nano-enabled properties, or has been modified for use in the development of other nanoscale materials, e. g. for encapsulating (bioactive) compounds. The Guidance also offers a decision flow scheme, developed by the NanoDefine project, to facilitate ascertaining whether or not a material is nanomaterial according to the European Commission recommended definition, and to identify relevant methods and tools for its characterisation. The European Commission has recommended a threshold of 50% of the particles in the number-based minimal external size distribution to be in the nanoscale (1–100 nm) for a material to be regarded as a nanomaterial. Food applications. The size of the nanoparticles can influence the “behavior” of food so as to be used in the food and feed industry to create new or improve existing products and for their processing processes. The European Food Information Council (EUFIC) reports that in the United States some beer manufacturers are using nanotechnology to incorporate nanoparticles into the packaging materials used for beer bottles, in order to prevent gas escaping (to help the beer retain its fizz) and stop air entering (which spoils the beer’s taste). Nanotechnology could be used to improve the absorption of nutrients, vitamins or enzymes, making them more bioavailable or even masking undesirable flavours. Recently, a study conducted by a group of Chinese researchers (Situ et al. ,“A nano-delivery system for bioactive ingredients mistreatment supercriticalcarbon dioxide and its release behaviors” Food Chemistry, 228, 2017, 219-225) has evaluated a new system based on liposomes prepared using supercritical carbon dioxide, for the purpose of ensuring the bioavailability of bioactive ingredients and the controlled release of nano-ingredients. Bioactive food ingredients are generally easily perishable. Nanotechnology may protect these ingredients, both during the processing phase and in the gastro-intestinal system. The study has demonstrated the stability of molecules even at low pH values, in conditions similar to those of the gastric environment, and during storage. In animal production nanotechnology may reduce the use of antibiotics, and consequently the antibiotic resistance in humans. Other expected benefits from nanotechnology research include better efficacy and delivery of pesticides and biocides, safer animal feed and improvements in the feeding efficiency, nano-barcodes for improved traceability and reformulation of foods which are lower in fat, salt and sugar while retaining the foods taste, texture and appearance. EUFIC specifies also that it will be possible to coat the food with special nanoparticles that can point out the deterioration of food or prevent the adhesion of bacteria to the surface. Nanobarcodes could be easily introduced in food so that it can be traced along the food chain until it reaches the consumer. Nanoparticles may be used to extent food shelf-life, modify its taste, improve its rheological and physiochemical properties. As in the case of the nanoparticles used to improve and control the quality of foams and emulsions. Nanoparticles of carotenoids may be dispersed in water and added to drinks and fruit juices with high bioavailability. Also the properties of food packaging can benefit from nanocomposites. 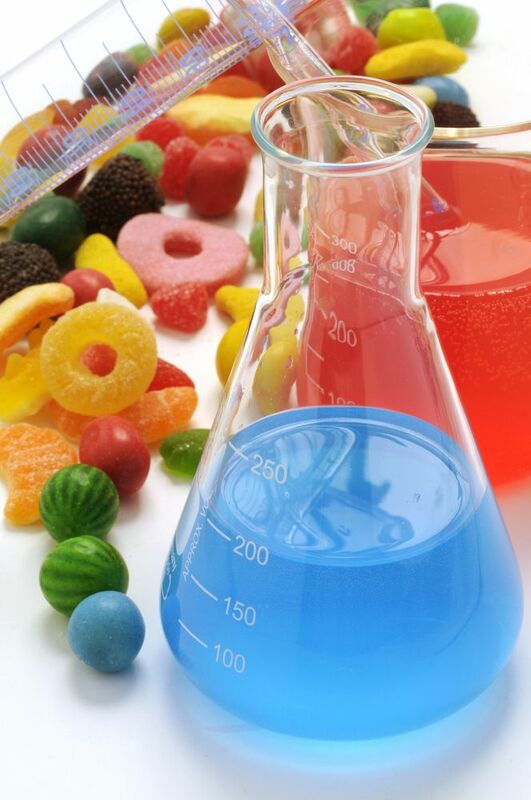 TiO2, a food colorant (E 171), for example, is used as frosting of confectionery products, in order to enhance the color , and as color additive n dehydrated mixtures for beverages. In the form of nanoparticle, it is transparent instead of white, and may find application in food packaging. Silver nanoparticles in active packaging have excellent antimicrobial properties. The possibility of a synergistic effect between nanometric charges of a different nature is being explored. The future of nanotechnology. It is undeniable that nano-ingredients have a great potential for use in the food sector and feed industry. The future of nanotechnology in the food and feed industries does not depend only on the problems linked to production costs, development of new technologies, consumers’ health, protection of the environment, and regulatory restrictions, but mainly on the possible reactions of consumers. In fact, if not adequately informed, consumers may be reluctant to these new foods and food packaging technologies.